Viet Cong’s self-title debut is one of those records that I find easier to admire than to truly enjoy. Though Viet Cong is enjoying a serious amount of critical buzz (its Metacritic rating currently sits at 82 with only a typical half-hearted shrug of a review from Rolling Stone dragging down its grade), I find it highly unlikely that the band’s noisy take on early-80’s post-punk will break through to a mass audience in any big way. At times Viet Cong is a challenging and confrontational album, with the band seemingly taking a defiant approach by avoiding by thismuch a more approachable melody whenever possible. It’s an album that defies easy conventions, but one that is rewarding with repeated listens; the problem is gaining the will to get to that point. The album is heavily influenced by post-punk like early Joy Division or Wire with its insistent drumming, melodic bass counterpoint, and off-kilter guitars, but Viet Cong filters these elements through a sheen of Sonic Youth-like noise and the lo-fi experimentation of their disciples. Whereas a lot of those classic records would employ a common verse-chorus structure, most of the songs on Viet Cong veer through multiple unrelated ideas, with songs stopping on a dime and making a sudden left turn into previously unforeseen musical territory. For example, a song like “March of Progress” begins with an ambient sonic experiment like you would find on a No Age record, abruptly shifts into an eastern-tinged drone, then concludes by suddenly morphing into a dance-y 4/4 rave-up; none of this makes sense on paper, and the unfamiliar listener will assume that he/she just listened to three separate songs, but Viet Cong finds a connective tissue between the differing styles. The band’s relentless desire to experiment doesn’t always pay off, but when it does, it does so in a big way. The first half of Viet Cong can be a struggle to listen to, with slogs like “Bunker Buster” and “Pointless Experience” sounding like homework for a lesson on post-punk: OK, here’s the guitar accenting the off-beats, there’s the drums chugging along, and oh yeah here’s some distant, ethereal haunting vocals overlooking the entire enterprise. Sure, there are individual moments within each song that are worth noting, but they are enveloped by such dour surroundings that they can be difficult to appreciate. If you thought Interpol was too brooding for your tastes, then you’re in trouble. However, the second half of Viet Cong is a monster that should have you overlooking any potential misgivings from the first half. “Continental Shelf” manages to twist a beach-influenced Surfer Blood–type riff into something more ominous and foreboding, and it pays off in spades. Bassist Matt Flegel’s vocals alternate between a desperate wail in the mold of a Paul Banks to a more restrained version of Spencer Krug (Wolf Parade, Sunset Rubdown, Moonface, etc.) in his best performance on the album that shows the band’s exciting potential. “Silhouettes” is a more frenetic number that amps up the paranoia and makes excellent use of the band’s heavy dose of reverb, the perfect soundtrack for an apocalyptic disco party. Viet Cong concludes with the eleven-minute epic “Death” and features a stellar drumming performance by Mike Wallace, who expertly deploys an attacking snare riff to build on the unstable mood established by “Silhouettes” before the entire song collapses in a noise-freakout. That is, the song seemingly collapses–after a false ending, the band seamlessly transitions back into a more furious version of the original song, constantly increasing the speed and tension. It’s a performance that will leave you figuratively gasping for air, though I imagine in concert the reaction may be more literal. 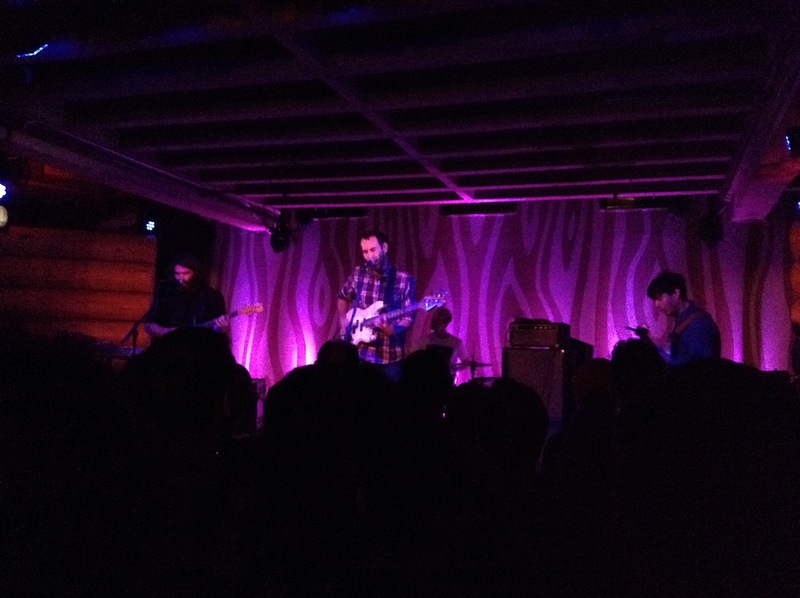 If Viet Cong can build on the strengths shown on the second half of their debut, then they have a very bright future ahead of them. I am unsure whether Viet Cong will appeal to anyone outside of post-punk enthusiasts, but for those who appreciate the genre they should enjoy their original spin on its conventions. At the very least, we should all be able to enjoy the pure unfiltered fury of a song like “Death”.